→4 Reasons Why Explode My Payday is a Scam! 4 Reasons Why Explode My Payday is a Scam! 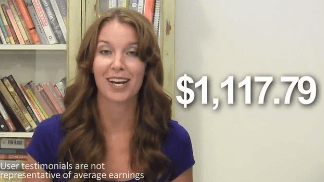 Is Explode My Payday a scam or a legitimate offer to earn $1,067 a day? If you have no idea how Explode My Payday works you're in luck. Today I'm going to share with you 4 definitive reasons why this system must be avoided! So stick around so you can make money online without wasting tons of money for scams. Explode My Payday - 4 Reasons Why it's a Scam! Check out My #1 Ranked Training! Explode My Payday is a website that promises you to earn over $1,000 every single day if you buy their incredible system which is an autopilot program that can you make money while you sleep. Explode My Payday was created by a person called "Meaghan Harper" but I'm familiar with this name because I always find it attached to other scams. The Explode My Payday video starts with some testimonials telling you how much they have earned in the last week thanks to Explode My Payday. But in this review, you will learn about where these testimonials come from and how they are getting paid for the good words they say (not in the fashion you think). Below I will tell you how Explode My Payday Actually works! Don't forget to share this review to help the next to know how this program works! Meaghan in the second video after you give out your email address keeps talking about how effortlessly you're going to make money. She claims that Explode My Payday is going to redirect 96% of internet traffic to your website that she built for you. That traffic will eventually turn into endless commissions and $1k+ paydays every day. Well, all of this definitely sounds good. Who wouldn't want to make $1000 or even more daily? But unfortunately, the reality always hits hard because Explode My Payday is a complete overhyped program that is not going to deliver any results! First of all, making money with a website is not as easy as clicking a button, it takes several months of training, trial, and errors in order to start making money from your site. If you're a beginner you will need training and hard work in order to able to build a website that makes money and if you want to earn $1000 a day you will need several years to reach this level. Yes, that's how things work and not like what Explode My Payday claims. Explode My Payday is a product that is created for the owners to profit from gullible newbies that have no experience with these scams. Luckily you're a smart person and you're reading this review before you give them out your info and money! Below I'd like to share with you 4 definitive reasons why Explode My Payday is a big scam. If you want to build a legit website that makes money, I invite you to check out this Free to Try training which will give you all the lessons and tools to get started. it's the same training that allows me to make regular commissions and a steady monthly income! If you have a look at what's written in the fine print, you will read that if you give out your email, you will start receiving different offers on your inbox. And when you join them, you agree that your personal information will be rented or sold to third party websites. Of course, Explode My Payday owners don't want you to read the fine print because if you do you simply won't purchase their program. Basically, if you buy Explode My Payday, they will sell your information to other similar scams who will try to promote to you other ways to make money that are bogus and expensive. You will end up receiving lots of spammy emails into your inbox every single day. Explode My Payday will also try to sell you different work at home products because that's their goal. In a few words, you won't earn money but you will spend a lot of it if you fall into the Explode My Payday trap! If you want to make money without getting spam or wasting tons of money then I invite you to try this Legitimate Training For Beginners where you learn how to create a legit website like mine that makes me a full-time income. 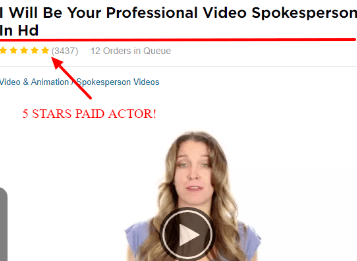 2) Explode My Payday Testimonials are Actors! Explode My Payday video starts off with some testimonials that talk about the money they have been making thanks to this system. The testimonials are a good way to make your product more credible, testimonials really help your product get more sales. That's why Explode My Payday is leveraging them because they know if you see testimonials saying good things chances are you will believe them and buy the product. But since Explode My Payday is a scam and there is no way anyone would make money with their system that they had to "buy" some actors to pretend they are real testimonials! 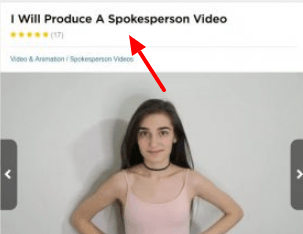 I review tons of scams and they do this all the time, there is a popular website called Fiverr where these scammers buy cheap actors to do testimonials for them. 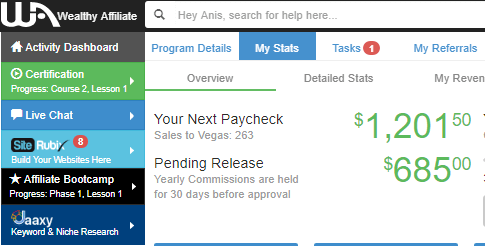 Below you can see the Explode My Payday testimonials and their respective testimonial gigs on Fiverr. Please Share to help the next NOT fall for this Scam! 3) No Training or Value Offered! Explode My Payday costs $47 but there are 2 pop up down sells that you get when you try to leave the site which will cut down the price to $17. You can get Explode My Payday for only $17. $17 is just a hook to get you inside the program where you will have to spend hundreds if not thousands of dollars on different generic hyped up work from home products. Explode My Payday does not give you any training, their job is just to get your email address and connect you with third-party products that will cost you more money! If you are looking for a Legit Training that can teach you how you can finally build a website and work from home then Explode My Payday is not the right choice. 4) It's the Usual Clickbank Scam! I have lost count of how many reviews I have written of scams that are similar to Explode my Payday. These scams are usually sold on a website called Clickbank, the latter is legit, however, there are many scams sold within the site. 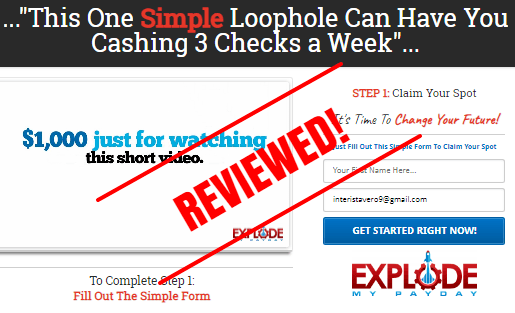 You can click below to read some of the scams that are the same as Explode my Payday! So Is Explode My Payday a Scam? Explode My Payday is a replica of other scams. Because of these 4 reasons I recommend against Explode My Payday! A legit training will never sell your personal info, fool you with fake testimonials or be a copy of other scams! A legit training should give you support, lessons, and tools to build your own empire online! That's the kind of training that I used and now I work full-time from home! 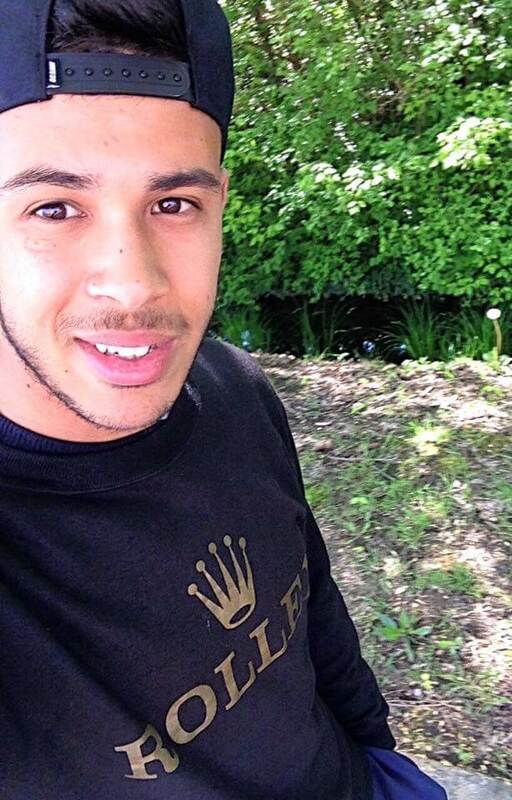 If you want to make money I promise you that you won't regret trying this training. Click the button below to learn more! Sorry to hear about that Mohamad.